The notion that a metal roof could keep your home cool in the summer seems to run contrary to reason. After all, metal absorbs heat so your attic, or any other rooms directly under the metal roof, should be as hot as an oven in the summer, right? Wrong, actually. While it may seem a bit odd it’s actually true that metal roofing on London homes can help reduce, not increase, the amount you spend on air conditioning during the summer months. In this article we’ll explain how they manage to do that. Metal roofs don’t absorb heat – Because of its low thermal mass metal roofing doesn’t absorb heat like asphalt shingles or ceramic tiles. Instead it reflects it. This can be demonstrated by going up to the roof shortly after the sun goes down. If your roof were covered in asphalt shingles it would continue to radiate heat for a long time after the sun set. While a metal roof will cool off in a matter of minutes. This ability of metal to reflect heat means that there’s very little heat available to transfer into the house. Metal roofs are effectively ventilated – The pros at London Eco-Metal understand the physics of metal roofing right down to the smallest details. They understand the importance of effective and efficient ventilation to remove any heat that does get through the outer shell. Ridge vents, soffits and other mechanisms are strategically installed throughout the roof to pull heat away and vent it to the atmosphere. Metal roofs provide long term savings – With asphalt shingles you’ll need to replace them every 15 to 20 years. Not so with a metal roofing. Metal roofing can be expected to last upwards of 50 years without the need for any type of extraordinary maintenance. All that money you won’t be spending to replace your roof is money in your pocket. So not only will you enjoy direct savings on air conditioning, you’ll enjoy additional savings by not having to replace your roof every 15 years or so. If you’ve ever been up on a roof covered with asphalt shingles you know just how sweltering it can be up there. And if you’ve ever spent time in the attic under a roof covered with asphalt shingles you know they transfer most of that heat into your home. But metal roofing is different. Metal roofing in London is the counter intuitive roofing solution that keeps the heat out. Your home will be cooler, you’ll spend less on air conditioning for many years to come and, let’s face it, your home will look better than it ever could with asphalt shingles. In recent years steel roofing has finally begun to gain the recognition and praise it deserves. But, because asphalt shingles have enjoyed a virtual monopoly on residential roofing for decades and people tend to stick with what they know, steel roofing still represents unfamiliar technology. The fact is however that steel roofing will make your home more valuable, beautiful and energy efficient. So it’s in your best interest to investigate this state-of-the-art roofing option. Still, you may have questions regarding what type of maintenance a steel roof requires and so below we’ll go through the main points to cover with your steel roofing contractor. The best way to ensure your steel roof has a long, trouble free life is to have a pro perform an annual maintenance check. Chances are this check won’t turn up any problems but it’s a good idea just for your own piece of mind. Here are the things you’ll want steel roofing contractors in London to check on during a maintenance visit. The state of the gutters – In order for your steel roof to do its job properly the gutters and downspouts have to be clear of dirt and debris. Overflowing can damage not only the roof but the exterior walls of your home as well. The state of the flashings – Anything that penetrates the roof (like a skylight) needs flashing around its base to ensure water doesn’t penetrate into the house. You’ll want your steel roofing pro to check on the state of all the flashings on the roof, particularly if you’ve recently had work done to your chimney or had a vent installed. Damage from falling branches – Steel roofs are tough but they’re not indestructible. During extreme weather events large branches can come crashing down and cause damage to the most robust roof. If you were not home at the time it occurred you may not even be aware any damage was done. It’s important to check for damage from falling or flying debris annually. The paint job – One of the many great things about steel roofing is that it can be painted whatever colour or colours you wish. Again, however, during extreme weather events flying debris can scrape and scratch the paint on your steel roof. Your steel roofing pro can point out exactly where things need to be touched up. The washers – The panels on a steel roof are often separated by neoprene washers. These can sometimes break down over the years due to exposure to weather or UV light from the sun. It’s a good idea to have the steel roofing pro check the washers annually and replace any that need replacing. London Eco Metal was one of the first steel roofing contractors in London. Experience tells us that with just a little common sense maintenance your new steel roof will still be serving your home well a half century from now. Give us a ring to find out more. When it comes time to replace the roof more and more people are exploring the possibilities of steel roofing. When they’re first quoted a price however, some balk because steel roofing will typically cost a bit more than shingles to install. But with steel roofing there are a number of reasons to look beyond the initial sticker price and embrace this new technology anyway. And most of those reasons have to do with the fact that steel roofs in London will actually save you a significant amount of money in the long run. Energy savings – Steel roofs are engineered to reflect heat during the summer months. This allows you to ratchet back the air conditioner and save money. But there’s another economic benefit to this as well: an HVAC system that doesn’t have to work as hard is one that will last far longer. So you’ll not only realise monthly savings on your energy bill, you won’t have to spend money maintaining or replacing an overworked HVAC system. The true cost of asphalt vs steel – While it’s true that asphalt shingles often cost less to install what isn’t mentioned is that you may have to install 3 asphalt shingle roofs over the course of the expected lifetime of 1 steel roof. So the way to calculate the real price of asphalt shingles vs steel is to multiply the cost of a shingle roof by a factor of 3 and compare that to the cost of a single steel roof installation. You’ll then see how much steel will actually save you in the long run. Durability – It’s one of the hallmarks of asphalt shingles that after an extreme weather event you’ll see big patches on the neighbour’s roofs where the shingles have been ripped away, exposing the interior of the house to the elements. This will not happen with a steel roof. Steel roofs form a unified front against the elements that makes them extremely tough, durable and long lasting. So you won’t have to pay to repair them after every heavy weather event. Insurance savings – Because it’s more durable, because it’s safer than asphalt in a fire situation and because it won’t blow away when the wind picks up steel roofing will often result in a reduction in homeowner’s insurance premiums. And not just for one year. For every year you have the steel roof on your home. Just one more way steel roofs in London provide real, significant long term savings. Steel roofing may cost a bit more up front but over the long run you’ll wind up saving boatloads of money compared to standard asphalt shingles. Contact London Eco Metal to find out more. 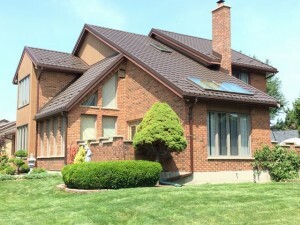 If you have a mid-to-large sized home a new roof is likely to cost many thousands of dollars. As such you need to perform your due diligence before committing to a roofing contractor. Getting estimates is important, certainly, as is making sure you’re personally comfortable working with the roofers involved. But there’s more to finding the right contractor for this vital project than simply gathering estimates and warm fuzzy feelings. You’ll need to develop a checklist of important points that should be satisfied before you sign on the dotted line. In order to avoid a roofing disaster that could see you take an enormous financial hit and perhaps negatively impact the value of your home you’ll want to vet any prospective roofing contractors in Mississauga carefully. The following checklist will help you do that. References – No references, no deal so this is first on the list. Before you discuss price or schedule make sure they’ll provide valid references and check them. If they can’t or won’t then move on to the next company. Proof of insurance – Another non-negotiable item on your checklist. If they don’t have robust liability and personal injury insurance you’ll be liable for any injuries or damage they cause to your property or the property of your neighbours. No insurance. No deal. A verifiable address – Some roofers have a snazzy truck to provide the reassuring visuals but little else. A verifiable business address goes a long way toward establishing that the contractor is in this for the long run and not just trying to make some beer money. A written estimate – Any reputable contractor will be happy to provide a written estimate for the job. If the prospective contractor won’t they’re trying to leave the door open to piling all sorts of hidden charges onto the final bill. Better Business Bureau profile – Check this on your own. You’ll be able to see if they have any outstanding lawsuits and read feedback from past customers. Remember, any company that has been around a while is bound to attract the odd lawsuit. It’s a pattern you’re looking for. Who will do the work – Sometimes the person you talk to doesn’t even own a roofing company. They’re little more than a glorified salesman who secures the work then farms it out to subcontractors. Find out who’s doing the work. Workmanship guarantee – Any reputable contractor should guarantee the quality of their own work. The length of these guarantees can vary, but if the company offers no such guarantee you should take a pass. Industry affiliations – Membership in trade associations and the like is another sign that the contractor takes their business seriously. If they have no industry affiliations you’re perfectly justified in asking why. Don’t just take someone’s word that they know what they’re doing and will stand behind their work. Make sure you carefully vet any prospective roofing contractors in Mississauga before selecting the one that’s right for you. The integrity of your home rests as much on the state of the roof as it does on the foundation. If either is poorly constructed or otherwise compromised it can have a cascading effect throughout the entire house. Making sure the roof on your home is as good as it can be is essential then to not only keeping the house dry and safe, it’s also vital to retaining or enhancing your home’s value. And no other roofing material will provide a bigger boost to the value of your house then metal. The reasons metal roofing is such a value winner have as much to do with things that aren’t seen as it does with the obvious aesthetic boost it brings to the home. Metal roofing looks great. But it’s more than a one trick pony. 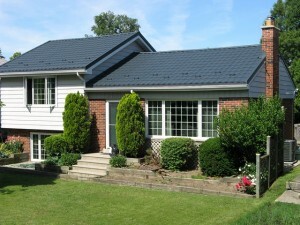 Here are 3 not so obvious benefits of metal roofing for Kitchener homes. They’re Fire Resistant – While engineering advances in recent years have made asphalt shingles a bit safer than they used to be they’re still capable to making any house fire worse. Asphalt is after all a petroleum product. Metal roofs by comparison can actually help buy you valuable escape time in the event of a house fire by putting a non-flammable cap on the fire and denying it the upward draft it needs to thrive. They’re Environmentally Friendly – Compared to shingles and some other materials that actually soak up the sun’s heat and make your home hotter, metal roofing does a great job of reflecting sunlight and thereby lowering your air conditioning costs. In addition where asphalt shingles are typically made using primary resources metal roofing is often made largely of recycled materials. They’re Easier on Your House – Most homeowners don’t think about it but asphalt shingle roofs are incredibly heavy. All this weight is creates enormous stress on the framing of both the roof and the exterior walls. When you install a metal roof on your home you relieve most of this pressure which can actually increase your home’s longevity. Bonus Benefit – Metal roofing can be customized to fit your most exacting design needs. Metal shingles are available that mimic whatever type of material you desire including asphalt shingles, ceramic tile, wood and more. No other roofing material provides you this type of design flexibility. 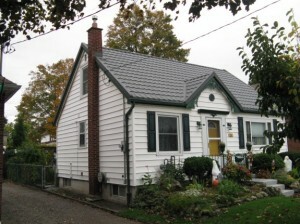 Metal roofing for Kitchener homes is an idea whose time has come. Besides making your home look great and making it better able to stand up to the voracious Ontario winters metal roofing will also go a long way toward making your home more energy efficient and safer in the event of a fire. That added element of fire safety will also likely result in a decrease in your homeowner’s insurance premiums. So there’s one more hidden benefit you need to consider. Call London Eco Metal on 1-855-838-9393 to learn more about the outstanding value that is metal roofing. How Does Steel Roofing Compare to Other Types of Metal Roofing? Metal roofs in general last longer than shingles, are more durable, provide more reliable protection during heavy weather events and are available in an astonishing array of colours and designs. Steel is the most popular metal roofing material, but why is that? Is it simply a matter of price or are there other factors in play that make steel roofing the go-to choice for so many home and business owners? Steel roofing in Toronto is by far the most popular kind of metal roofing. Let’s take a look at the 5 different types of metal roof to see if we can determine why. Copper – Copper has been in use as a roofing material for centuries. Many people consider it the most aesthetically pleasing roofing material and it’s certainly long lasting. So why isn’t it the most popular type of roofing material? One word: cost. Aluminum – While copper is the most expensive type of metal roofing aluminum isn’t that far behind. It does have one advantage over copper though in that it can be made to mimic the look of other roofing materials like shingles and tiles. Something copper doesn’t do particularly well. Tin – While the word “tin” is often used to describe virtually any type of metal roof the fact is that real tin roofs are a rarity. Tin is every bit its own element, just like copper, and not just a catchall word to describe metal in general. Most roofs that are referred to as tin today are actually galvanized steel. Zinc – A lot of people like zinc as a roofing material because of its self-healing abilities, its relative affordability and its looks. The self-healing referred to above is a quality of the metal whereby the patina tends to expand over small damaged areas returning them to the fold visually and functionally. Steel – Now let’s look at steel and see why it’s in such demand. First of all the steel you install on your roof is probably made of recycled materials. Second, it’s readily available from virtually every company that does metal roofs. Third, it costs less than copper, zinc or aluminum. Fourth, it’s easily fabricated into an array of shapes that mimic other materials. Fifth, it can be painted to match any design considerations. So let’s recap. There are a number of good reasons why steel roofing in Toronto is so popular. Call London Eco Metal to find out more about how a steel roof can enhance the look and value of your home. There are a lot of reasons both practical and aesthetic to choose steel roofing from London Eco-Metal Manufacturing. Those reasons include ROI, energy efficiency, aesthetic adaptability and the wide range of style options available, just to name a few. But there’s one more reason steel roofing in Toronto should be on your list of home or business improvements this year: low maintenance. When compared to the most common form of roofing – asphalt shingles – steel roofing provides significant savings on both short and long term maintenance. Maintenance can represent a significant long term burden in both time and money and always needs to be factored into the cost of a particular roof. Let’s look at the maintenance requirements of both steel and asphalt to see what we’re talking about. Removing debris from the roof – Particularly after heavy weather events. It’s crucial to the life of your shingles that someone get up on the roof after intense storms and also in the springtime to clear debris from the roof. Inspecting the shingles – While you’re removing the debris from your roof you also need to inspect the shingles themselves to ensure none have been damaged by high wind or flying debris. If they have they need to be replaced ASAP. Inspecting the flashings – The flashings around the chimney, skylights and other protrusions should be checked at least twice a year to ensure their integrity. If they get damaged the water they let in can undermine the roof, walls, wiring and insulation of your home. Inspecting for moss – Moss and algae on your shingles can promote their breakdown. During your flashing inspections you should also check for the growth of mold and algae on the roof. Checking for overhanging branches – Trees can grow faster than you think so you need to keep an eye on any trees growing near the house to make sure no branches are hanging over or worse, rubbing against the roof. Maintenance Requirements for Steel Roofing in Toronto. Washing the roof – In the springtime and perhaps in the fall too you may want to hose your roof down to clear it of dust, dirt and any leaves that may have gotten stuck. Inspecting after extreme weather events – There may be high wind events that send branches and other flying debris into your roof. As such it’s smart to inspect the roof after such events. Replacing damaged panels – In the unlikely event your inspection revealed any damaged panels simply call the company that installed the roof and inform them of the problem. They should be happy to replace any panels for you in a timely fashion. As you can see maintaining your steel roof is a less intensive task than properly maintaining asphalt shingles. This is one more reason why steel roofing in Toronto has taken off in recent years. If you’d like to learn more about steel roofing give London Eco-Metal Manufacturing a call and talk to one of our metal roofing experts. The roof is arguably the most important component of your home. You can survive, at least for a while, losing windows, the front door, siding and more but if the roof goes your home is essentially uninhabitable. Therefore it’s vital that the company you choose to repair or replace your roof is one with a solid reputation for high quality work along with the experience and expertise to handle any and all kinds of roofing emergencies. Should you choose a roofing contractor based solely on price however, what you’re most likely to get are excuses, delays and long-term trouble. They’re cutting corners – Things like liability insurance, workman’s compensation insurance, proper equipment and high quality materials all cost money. If someone is offering to repair or replace your roof for significantly less than the competition they’re making up for that lost revenue somewhere. And you’re the one who will wind up paying in the long run. They’re probably not insured – We just mentioned this above but it warrants its own entry on this list. 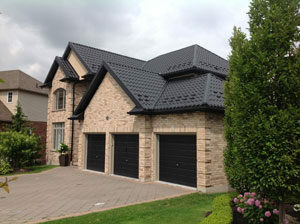 Discount roofing contractors in Mississauga are often uninsured. You may shrug and say “So?” but consider this: if someone who works for that uninsured contractor gets hurt while working on your property guess who is liable? That’s right. You. And if they’re seriously hurt it could wind up costing you a life-changing amount of money. In all likelihood they’re poorly trained – Roofers who are properly trained and have lots of experience don’t need to sell themselves short. Discount roofing companies though are often composed of industry castoffs and hangers on. Guys with poor training and limited experience who couldn’t get work with a reputable contractor. They’ll also work for cheap which is another reason the discount contractor can offer such a low price. They disappear when the check clears – Reputable contractors keep the lines of communication open with their clients past and present. If there’s a problem they take care of it. Most discount contractors disappear back into the social woodwork as soon as the cheque clears and good luck trying to hold them responsible when, (not if), problems arise. Gambling with the very roof over your head is not an activity that will pay off in the end. In order to ensure the roof you and your family depends on is always there to provide safe, reliable protection from mother nature just say “No thanks” next time discount roofing contractors in Mississauga offer you a rock bottom price. The metal roofing products we offer our customers provide a durable, attractive finish that’s suitable for most types of pitched roof applications. They’re versatile enough to meld with your traditional building style and cutting edge enough to put the finishing touch on your contemporary home or office building. But that’s not all. There’s another reason to love these durable, easy-to-install panels that doesn’t get a lot of press, but should: they’re among the greenest building materials you can buy. They’re made from mostly recycled materials. As such they produce a minimal carbon footprint. They can reduce the temperature in your attic by up to 1/3. They can be completely recycled at the end of their long life. The fact that they’re so light reduces on the energy used to transport them. They reflect sunlight which reduces the stress on your air conditioning system. Their light weight can also help extend the life of your home or commercial building. Because they give your HVAC system a break it works more efficiently and lasts longer. They break the cycle of landfill disposal followed by primary resource consumption. They’re extremely low maintenance and long lasting. In addition – Metal roofing reflects substantial amounts of solar radiation that contacts the roof of a building instead of absorbing it the way asphalt shingles and rubber do. 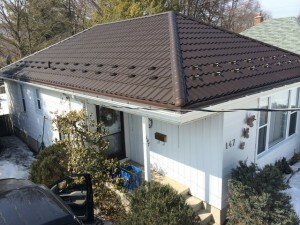 Metal roofing for Kitchener homes can also be installed directly over many kinds of existing roofs further reducing trips to the landfill and the environmental contamination that ensues from the disposal of roofing materials. And one more thing; a metal roof also makes your home more fire resistant whereas asphalt shingles are little fuel packages waiting for a flame to set them off. Whichever of our innovation, energy efficient products you choose metal roofing in Kitchener will provide you with the greenest roof in the GTA. We’re serious about environmental responsibility and are constantly revisiting the design, engineering and production of our metal building products in an effort to improve their performance, reduce their carbon footprint and extend their usable lifespan. Metal roofing is an idea whose time has come and the number of homes and businesses that switch every year to metal roofs is proof positive of their relevance and effectiveness. If you’d like to transform your home or business into a green beacon for the community give London Eco-Metal Manufacturing a call today on 905-564-7663 and speak to one of our experts on metal roofing in Kitchener. When people think of roofing they generally think of shingles, usually in black or grey. But there are many more options, and one of the best choices for commercial and residential buildings is metal roofing. With quality and durability as important selling points, metal roofing is becoming a more popular choice than ever before. But why should anyone select a metal roof over other roofing material choices? Does metal roofing have enough benefits to be the right choice for your needs? And what kinds of questions should someone ask when considering metal roofing for a commercial or residential application? Among the benefits that metal roofs offer is durability. These roofs will not rust, and they last for years. They don’t break down the way shingles and roofing tiles can, so metal roofs can be used for a longer period of time. While they may cost slightly more to have installed in the beginning, the length that they lost can make them more cost effective over time than shingles or other choices. That’s especially true for commercial buildings, which are commonly much larger spaces than residential options. However, in recent years more homeowners are seeing the benefits of metal roofing and are starting to use it for their houses, as well. How Are Metal Roofs Different From Other Options? The difference between metal roofs and other options comes in the construction and installation of them, along with the materials themselves. Unlike shingles or tiles, which are much smaller and lighter, metal roofing comes in longer, wider sheets that are attached to the roof and one another. They are anchored down very solidly to withstand wind, rain, and other elements such as snow and ice. Some people are concerned that metal roofing will be louder than other options, but there are sound-dampening properties that keep these roofs quieter than most people would expect. For commercial applications, metal roofs are very often the best choice. Smaller commercial buildings may choose other options, but the vast majority of commercial buildings choose metal roofing. For the length of time it lasts, the ease and speed of installation, and other factors, metal roofing is the better choice for the vast majority of companies. There are big energy savings in metal roofs, along with warranties that can be good for up to 50 years and roofs that can last for more than a century. That reduces the cost of the roof over time. With such a large surface area for the roof, the need to replace it can be extremely costly for the building owner. With a metal roof, that is no longer a worry. Are There Benefits for Residential Buildings? Even though metal roofing is more popular for commercial applications, more homeowners are starting to see the merits of it. From large houses and barns on rural properties to smaller locations in bigger cities, homeowners are considering spending a little more to get a metal roof that they can rely on for their lifetime or longer. It can also be a strong selling point if the homeowner decides to move, considering the quality and value that the metal roof will provide to the new owner. Metal roofs are more energy efficient, more durable, and more long-lasting than other roofing materials. These are all considerations worth addressing for any homeowner who is considering choosing a metal roof for their home. Who Should Choose a Metal Roof? Anyone who wants to increase the value of their building would be wise to choose a metal roof. It is one of the best options for them to think about when considering upgrades and additional changes that add value. Commercial and residential owners can both see big benefits, including a longer roof life, more energy efficiency, noise reduction, and less worry about leaks, damage, and related issues. With that in mind, choosing a metal roof for residential or commercial applications simply makes sense.